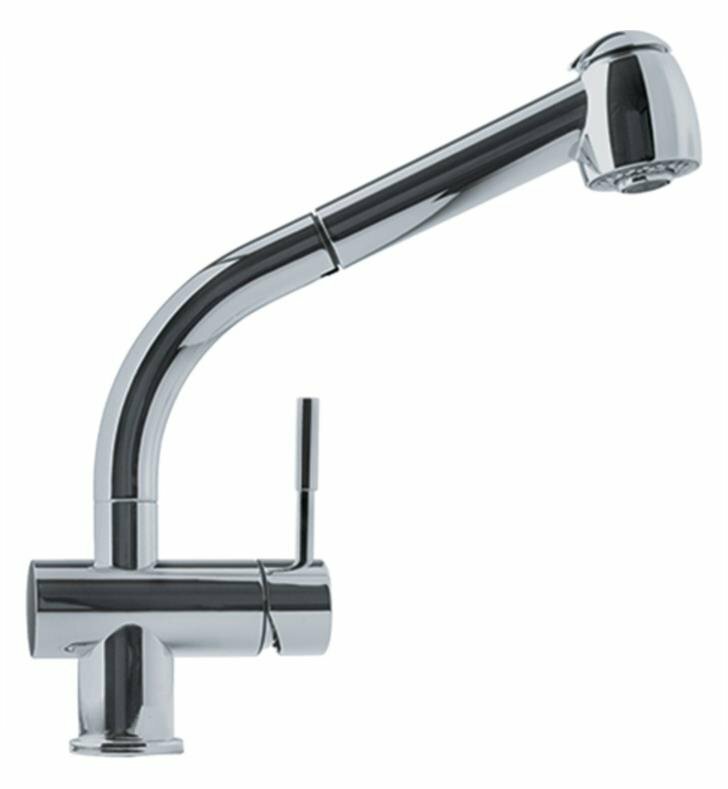 The Logik Single Hole Deck Mounted Pullout Kitchen Faucet is a epitome of quality, technology and design. 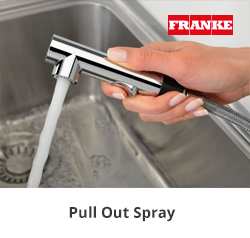 Franke faucets are solid brass construction with ceramic disc cartridges for long-lasting service. An internal anti-scald dial allows regulation of water temperature through a wide comfort zone. Six setting dial adjusts water pressure to preferred flow rate. Top and side-lever models with single post construction for flexible placement. Side levers allow for right or left-hand operation. H 12 1/4" x W 2 1/8" x D 10 1/2"